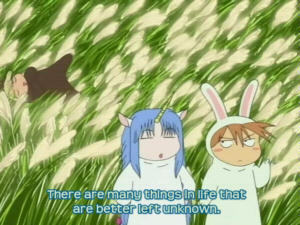 Pic of the day: "There are many things in life that are better left unknown." I don't really agree with this, but my workplace does. At work today. You don't want to know about my work. More importantly, my workplace don't want you to know about my work. Thus, nothing to see here. Move on. There are Christmas decorations, but they are few and far between. I read in the daily business newspaper, however, that in the USA "holiday" displays are all over the place. This is supposedly due to the much higher prices of heating this year. If people get the heating bills before buying holiday presents, the presents will be small and few. Therefore the holiday season has been moved from Thanksgiving to Halloween. Sounds like a smart move... if you have a very limited time frame. In the long run, having your customers freeze to death may not be a good investment. Also, have you noticed that I now have 7 years of archive? One year ago: "Cat exploded."